Jeena-Louise Coleman, popularly known as Jeena Coleman is an English actress famous in British television. Coleman is best known for her roles as Jasmine Thomas in the soap opera Emmerdale (2005-2009) and Queen Victoria in Victoria (2016-present), the ITV biographical drama series. She is also noticed for her role as Clara Oswald companion to the Eleventh and Twelfth Doctors, Doctor Who, the science fiction series. She started using the name Jeena Coleman professionally when she appeared as a presenter for the 2013 BAFTA Television Awards on May 12, 2013. The name was made official on June 7, 2013. 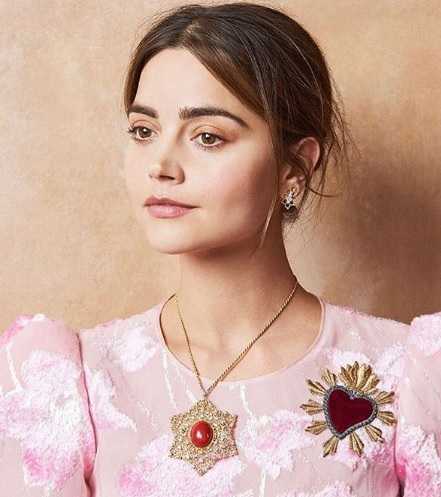 Jenna Coleman turned down the role of Queen Victoria. The 32-years old actress revealed that she turned down the role of Queen Victoria in the reign of the British monarch biological drama series, Victoria twice before finally accepting the part. She stated she was not ready for another long TV project following four years on Doctor Who. In an interview with Radio Times, Coleman said, " I had just finished doing nearly four years on Doctor Who and I didn't want to do another long TV projects." She wished to do different than TV projects, but the role of Victoria was no less than addiction. She stated, " I wanted to do lots of different things, but now I'm doing Victoria, I find her quite addictive." The 32-years old actress Coleman was born to a father Keith Coleman, and a daughter Karen Coleman on April 27, 1986, in Blackpool, Lancashire, England. Coleman has an older brother, Ben. She was the head girl in her school, Arnold School. She did not pursue higher education after high school. According to her, her grandmother named her Jenna after the character of Jenna Wade in the 80s American TV drama series Dallas. The Victoria star Coleman started her acting career as a member of a theatre company called In Yer Space. Her performance in the play Crystal Clear at the Edinburgh Festival earned her some recognition. Coleman then auditioned for drama schools and later landed the part of Jasmine Thomas in Emmerdale in 2005. For her performance in Emmerdale, Coleman was nominated for "Best Newcomer" award at 2007 British Soap Awards, and "Most Popular Newcomer" at the 2006 National Television Awards. Coleman was also nominated for "Best Actress", "Sexiest Female", and "Best Dramatic Performance" awards at 2009 British Soap Awards. Coleman joined Waterloo Road, BBC school-based drama series, in May 2009, where she played a role of hard girl Lindsay James. Coleman played Susan Brown in Room at the Top, a BBC Four television adaptation of the John Braine novel in December 2010. Coleman made her feature film debut in Captain America: The First Avenger in 2011. Coleman appeared as Rosie in Stephen Poliakoff's original drama series, Dancing on the Edge in 2012, and as Lydia Wickham in the adaptation of Death Comes to Pemberley in 2013. Coleman appeared as a companion to the Eleventh and Twelfth Doctors in the science fiction series Doctor Who(2012-2015, 2017). Coleman starred in ITV's eight-part drama following the reign of the British monarch and Empress of India, Queen Victoria in 2016. Coleman admired the Victorian monarch. The third season of Victoria will premier in January 2019. The Victoria star Coleman has a charitable heart. She is the ambassador of One to One Children's Fund. Through which, she has been involved with charity work in South Africa raising awareness of HIV. The 32-year old star is also an ambassador for Place2Be. It is a charity organization that provides emotional and therapeutic services in schools. 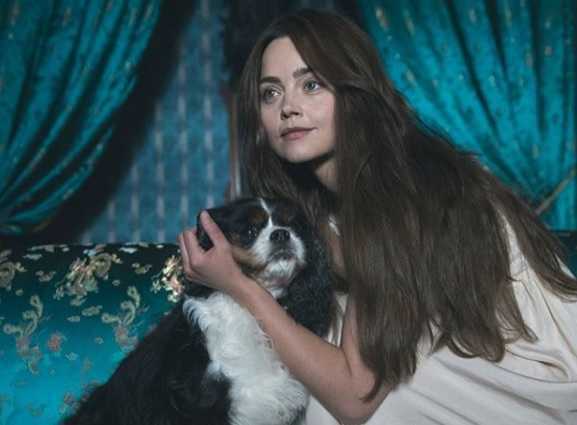 The 32-year old Victoria star has been nominated in different categories for her roles in Emmerdale, Xenoblade Chronicles, Doctor Who, and Victoria. She won UK TV Actress by 2014 Glamour Awards for Doctor Who. She also won Outstanding Actress in a Drama TV Series by 2017 Golden Nymph Award for her role in Victoria. The Victoria star has a net worth of $5 million at present. Born in 1986, She started her acting career in the play Crystal Clear during her early age. Her first role was Jasmine Thomas in the television series Emmerdale in 2009. Coleman was nominated for "Best Actress", "Sexiest Female", and "Best Dramatic Performance" awards at British Soap Awards.